This is 3 more volumes in the pretty cool compilation series that the German label Garden of Delights (GOD) has released. The earlier volumes were very rare tracks, while all the material here is released on other CDs by GOD. It includes a mixture of more famous German acts like Amon Duul II, Guru Guru, Xhol Caravan and Faithful Breath, and a lot of more obscure bands that made mainly one or two records and disappeared. Volume 11 features Saffran, Amon Duul II, Aiques Vives, Frob, Madison Dyke, Gravestone, Da Capo, Eulenspygel and Wantiyetula. This is CDs 101 to 109 on the label. It has a nice booklet with a description of the bands and their LPs in both English and German. 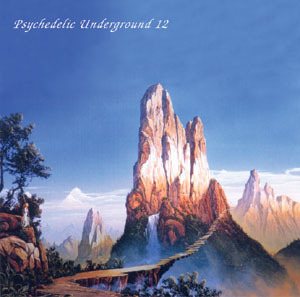 Volume 12 is CDs 111 to 119 and features joy Unlimited, Faithful Breath, Missus Beastly, Missing Link, Soul Caravan, Xhol Caravan, Xhol, Aningma, and Emma Myldenberger. 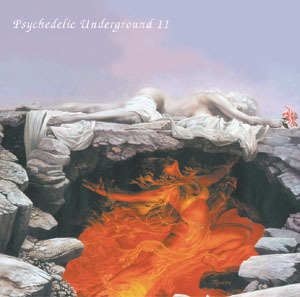 These are pretty cool introductions to the German underground of the late 60’s and 70’s. 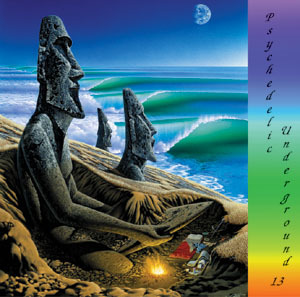 Volume 13 features: CDs 121 to 129 and bands Waniyetula, Missus Beastly, Vikings Invasion, Live, Arktis, Level, Skyline, Guru Guru and Emma Myldenberger. Check them out if you are into this era of music and not so familiar with these names.